The Eagle GS-D is the tire that takes the Gatorback design to new limits and adds Extended Mobility Tire safety. 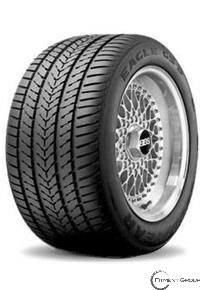 In addition to its refined directional tread design, for improved handling, ride and noise reduction, this Eagle breaks new ground for performance tires when it comes to wet-road driving. Perhaps that's why the GS-D has been chosen as original equipment on some of the world's most renowned sports cars. It provides excellent handling and traction on dry roads and has the ability to run while flat for up to 50 miles. - Chosen as original equipment on some of the world's most renowned sports cars.